Villano | MD is proud to offer diode laser hair removal in Bend, Oregon, to help you reduce or eliminate unwanted hair. The diode laser leaves your skin hair-free with fast and easy treatments. Many men and women today spend half an hour or more daily in front of the mirror tweezing, waxing, or shaving unwanted hair time and time again. Consistently removing unwanted hair only for it to grow quickly back is not only time consuming, but also increases your risk of skin infection. Luckily, there’s a safer option: hair removal with the diode laser. 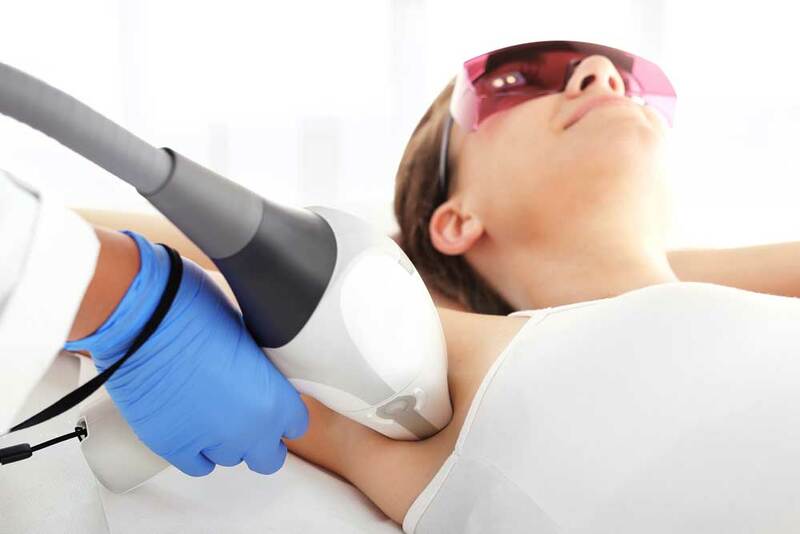 Laser hair removal technology was first FDA approved in the 90s, and it’s come a long way since. The diode laser directs concentrated light and heat at the melanin contained in hair follicles. This inhibits future growth of hair in the affected follicles while protecting the surrounding skin from harm for comfortable, effective, and long-lasting results. The treatment has very few side effects. Most patients don’t feel anything more than a minor sunburn for a couple of days. Thanks to its small, concentrated spot size, the diode laser helps ensure that the hair will remain absent for half a year or more. The number of treatments needed varies from person to person based on the amount of hair that you’d like removed. However, the best results are seen in patients who fully commit to a series of treatments. Many patients report seeing results after one or two treatment sessions, but most require around six to achieve their desired results. Receive 10% off with the purchase of 3 or more sessions. For additional pricing for body parts not listed here, please contact our office at (541) 312-3223. AM I A GOOD CANDIDATE FOR DIODE LASER HAIR REMOVAL? WHAT AREAS CAN THE DIODE LASER TREAT? I am getting hair removal treatments on my legs at Villano MD, and I am very pleased with the results. I saw thinning of the hair with the first treatment, and with each additional treatment there is even less hair re-growth. The moderate discomfort of the procedure is much more tolerable than the waxing I was doing previously. Better yet, the results are permanent, unlike waxing, which is temporary. Stacey is very sensitive to my particular goals for hair removal as well as my hair and skin type, and carefully adjusts her treatments accordingly. She is also very personable and caring and puts you at ease while you are receiving the treatment. I am so happy to be able to put my razor away and have smooth legs for summer! I would highly recommend the laser hair removal treatments at Villano MD. Our comfortable, state-of-the-art facility is home to the best cosmetic and medical care available. At Villano | MD, our doors are always open to new patients. If you are interested in laser hair removal treatments in Bend, Oregon, please contact the office of Dual Board Certified Facial Plastic Surgeon Dr. Michael E. Villano for your free consultation.